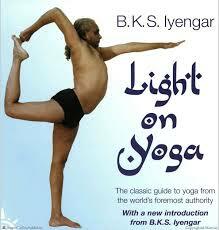 I did not know that B.K.S Iyengar was Krishnamacharya’s brother in law. 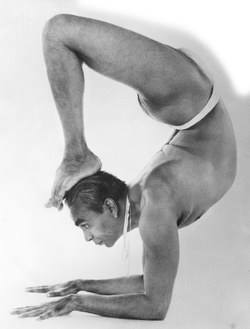 Being a student of Ashtanga, I have mostly read about the connection between Pattabi Jois and Krishnamacharya (who was an amazing yogi). They generally speak of the two as two branches of the teachings of yoga, and then go into the differences of the two practices. That is so interesting. And I do believe that it was “A Light On Yoga” which led so many in the West to begin practicing asana, and eventually set out to India to find the gurus, whom they then brought back to America. It is amazing to read such tales as “Autobiography of a Yogi”, by Yogananda, and see how the masters intended to bring the knowledge of yoga to the West. It has only been 100 years now, and it took some time to get the teachings out there. But upon experiencing the benefit of yoga, many are immediately convinced of its value. Yoga is the hope of bringing our cultures together, in a language we can all understand and practice together. And we still have a long ways to go. 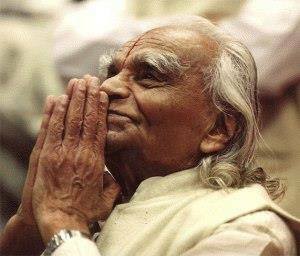 What an amazing man Iyengar is, and yes, a true guru. Thank you for the post, and I wish him a happy birthday.